Our online defensive driving course is designed to take the same amount of time as a traditional in-class Forth Worth defensive driving course and will take 6 hours to complete. Though timed, the great thing about our course is that you can go at your own pace with nobody sitting over your and making you speed along. We know everyone learns at different speeds, and our Forth Worth online program lets you take the time you need to absorb the material. So what are you waiting for, get online anywhere in Fort Worth, Forest Hill, Haltom City, Bedford, Colleyville, Saginaw, Watauga, Crowley, Richland Hills, White Settlement, Benbrook, North Richland Hills, Hurst, Arlington, Burleson, and Keller to dismiss your speeding ticket today. You have 3 different payment options for your online defensive driving course: credit card online, credit card over the phone, or check by mail. Our website is secure and your credit card information will not be shared with anyone. If you choose to mail payment, make sure to send the check before you complete the course, or your certificate cannot be mailed to you. Excellent news! In order to pass the course, you must complete 6 easy sections, each with quiz questions you can't fail, since you have unlimited chances to score 70% or higher. We want Forth Worth residents to pass our course. 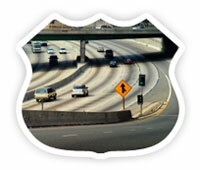 When you finish your Forth Worth defensive driving course in Tarrant, you'll be issued your Certificate of Completion! This will help you dismiss your TX Traffic Ticket and if you are in a hurry to beat a court deadline, you can take advantage of our optional 2nd day, next business day, and overnight FedEx certificate delivery options. Last minute due date approaching? Don't stress! Choose one of our rush FedEx delivery options and you can have your Forth Worth, Texas completion certificate expedited! Meet your online defensive driving safety requirements on time with TexasDefensiveDriving.com. Got pulled over in Tarrant? Want to keep traffic points off your official Texas DPS driving record? Complete our court approved defensive driver course and have your citation dropped and keep your driver record free of traffic ticket points! No matter where you live, be it in Tarrant County, Parker County, Denton County, and Wise County, you can take our defensive driving school online. We happily service licensed drivers throughout Fort Worth, Forest Hill, Haltom City, Richland Hills, White Settlement, Benbrook, North Richland Hills, Saginaw, Watauga, Crowley, Hurst, Arlington, Burleson, Bedford, Colleyville, and Keller. Are you a Forth Worth parent looking for a better drivers education option for your son or daughter? Why not choose a Texas approved, parent taught drivers ed course that will not only save you nearly half the cost of a normal drivers ed class, but will also give your teen the one-on-one driving mentor they need to truly be the best driver they can be. Both Virtual Drive of Texas and Driver Ed in a Box are approved, quality parent taught options Forth Worth drivers have trusted for years.